Hello all you beauties out there! It has been about two weeks since my last post! I can either attribute that to my lack of inspiration with everything in my closet, or the fact that I am (was) cutting back on spending on cosmetics. OR, my inner slacker could be to blame here. However, the bulk of these purchases are skin care items, which I can justify spending on, because I believe if your skin looks great, everything else will fall into place. If your skin looks really bad (like mine has lately) then makeup is not going to look all that great just sitting on top of it. This is my first nails inc polish, and I must say, I am LOVING it! It is so cute, and perfect for Spring. 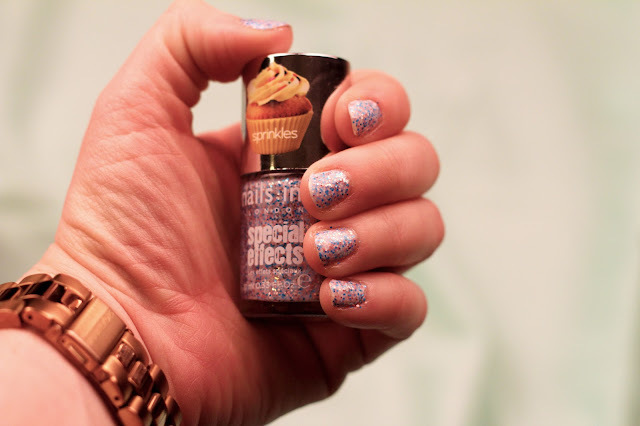 The glitter particles in this are mattified, so it doesn't give the nails a super shiny look. It really does have a cupcake topping effect. This one is white with pastel blue, pink, and silver "sprinkles." 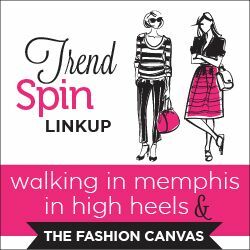 I love this color, and I am considering buying the pink one, called Topping Lane. Apparently, all the shades are named after streets in London! FYI It took a few coats to get my whole nail covered. 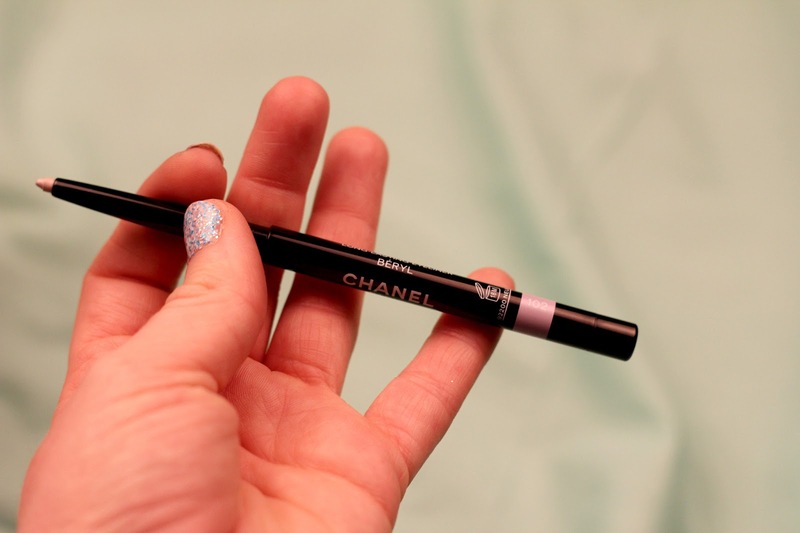 This eyeliner pencil is part of Chanel's Spring 2013 collection. It's a pale, lovely lilac color and it is intended for use mainly on the waterline to make eyes look more awake and cancel out redness. For me, it does get rid of most of the redness, but I don't quite feel I look awake enough to justify the $30 price tag. The one thing I can say about this is that it does last quite well. I swatched this on my hand and it would not rub off. I tried and tried, but it seriously took a lot of work to get this off. This is my first Chanel eyeliner, and I would most likely purchase again in a different shade. I think those of you with a slightly darker skin tone might benefit more from this. This product obviously was not used in the hand treatment, however, I feel quite lucky that this happened to be in the set. It is a lovely, creamy moisturizer, which apparently contains the juice of a whole lemon. It also contains orange blossom honey, extra virgin olive oil, and wheat germ oils. it leaves skin feeling very soft and smooth. The texture of my skin seems to have improved in just two uses! This also contains fresh pineapple juice, which is supposed to cleanse away dirt and oil and leave your skin looking brighter and feeling fresh. Now, a 1.5 oz. tub of this is about $90, so I'm not sure yet if I'll be repurchasing. However, if you have a bit of money to throw around, I would definitely recommend this. These two products were used in the hand treatment and holy wow! They are so nice! The Rub Rub Rub makes my hands feel so soft and has sort of a brightening effect. This contains exfoliating sea salt, and Lush claims you can use it in your hair, however, I will not be doing that. I don't like the idea of any type of salt in my hair. This also contains lemon juice and the scent of mimosa blossoms, resulting in a fresh, smooth post shower all over feeling. The Vanilla Dee-Lite lotion is formulated with coconut oil and water, and kiwi fruit which is loaded with vitamins and minerals to make your skin look lovely and glowing. This has a nice vanilla scent and really does make my skin feel nice. These items along with the Lemony Flutter cuticle butter help to restore the moisture my skin so desperately craves in these winter months. Another item I have not tried, because well, who has time for baths? 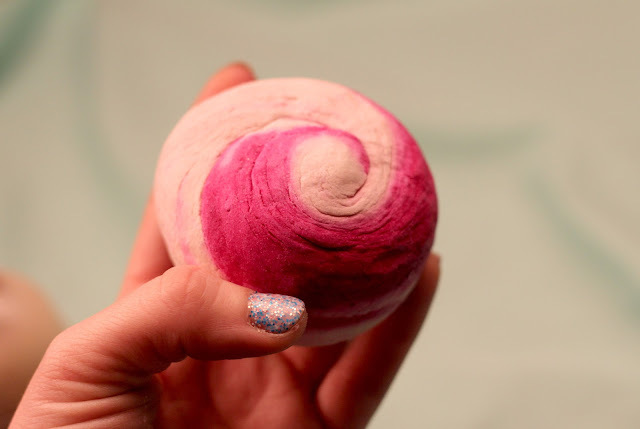 Lush describes this saying, "Relax into fragrant mimosa waters, and let your worries drift away like cherry blossoms in the breeze." Sounds lovely, doesn't it? 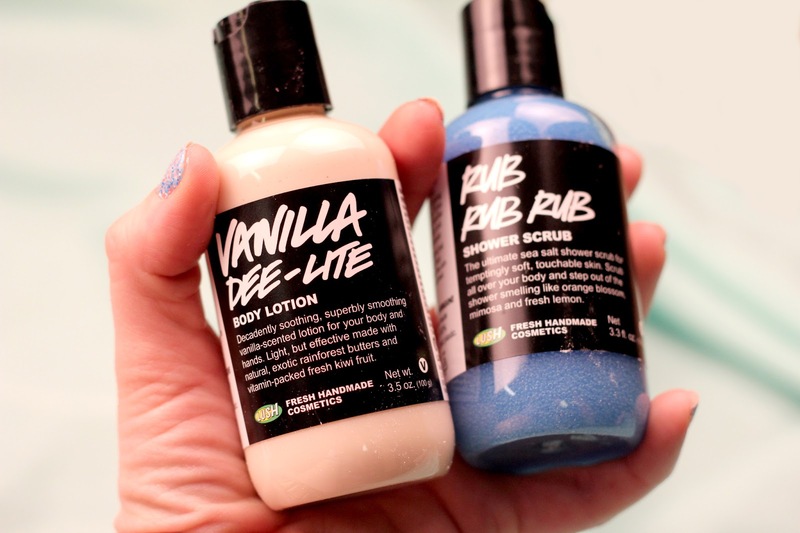 This set was a great value, and a wonderful introduction to Lush. I honestly might consider repurchasing this gift set instead of the full sized items when I run out of the minis. Is that considered cheating? Origins Clear Improvement Active Charcoal Mask- The charcoal is supposed to draw out dirt and oil from pores, while China Clay absorbs environmental toxins. Now, I have only used this mask once, but it did seem to bring a lot to the surface, and my skin does seem to be looking a bit more clear. I should probably give it a few more uses before I really judge. This is really my first mask and my first Origins purchase. I believe the 1.7 oz. tube was $16. I would say it is a pretty good value for money. Ren Hydra Calm Global Protection Day Cream- I have used this twice and my skin seemed noticeably softer and smoother. This was $55 for a 1.7 oz bottle. It has a pump applicator, which I like. This is ideal for sensitive skin, as it calms and soothes, and is supposed to protect skin from aggressors like smoke and pollution. This does not contain synthetic fragrances or dyes, parabens, or sulfates. Caudalie Beauty Elixir- Have not yet used this, but I will report back after I do. 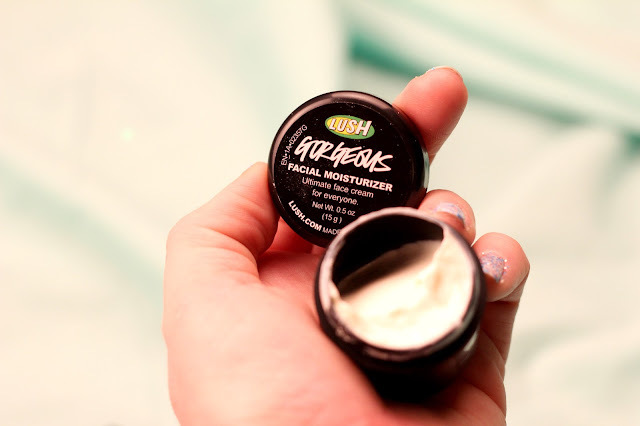 I have seen this on pretty much every beauty blog "favorites" list, so I figured it was time to give it a try. Carol's Daughter Rosemary Mint Clarifying Conditioner- I have used this twice and I must say so far, I am impressed! My hair feels very smooth immediately after I start to slather this on my head. It has a nice slipperiness to it. I like that in a conditioner. I think this brand is geared towards the ethnic ladies, but I would say my hair sort of falls into the "ethnic" category. This contains rosemary extract and peppermint oil, which leave hair shinier, softer, and more manageable. This was also only $16 for the 8 oz bottle, which I think is a very reasonable price for a high quality conditioner. 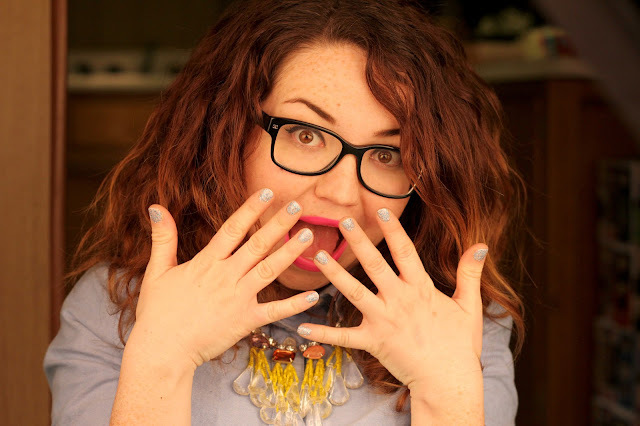 In the above photo, I am showcasing my new nail polish, and possibly my new favorite lipstick for spring, MAC's Candy Yum Yum! I was looking for a perfect bright, matte pink lipstick and I must say, I am ejoying the crap out of this one! What are your favorite skin care products? I am really looking for all the help I can get! oo I do love your nails! So very jealous that you have Sephora! I wish we had it here in the UK! Your first nails inc purchase was a good one! Ahhhhh! I don't know you didn't have Sephora there! I don't know what I would do :( I have always wanted to visit a Space NK. Love the nail, looks so cool! Thank you :). I was surprised these were only $9.50! I figured nails inc would be more expensive. Lucky me! Now I can buy more! Found you form the link up! The Origins charcoal mask is hands-down one of my favorite products. My skin glows like crazy after I use it. I am also a big fan of Caroline's Daughter. I could never tell if it was intended for ethnic hair, but it does an amazing job of calming my fine curly hair. 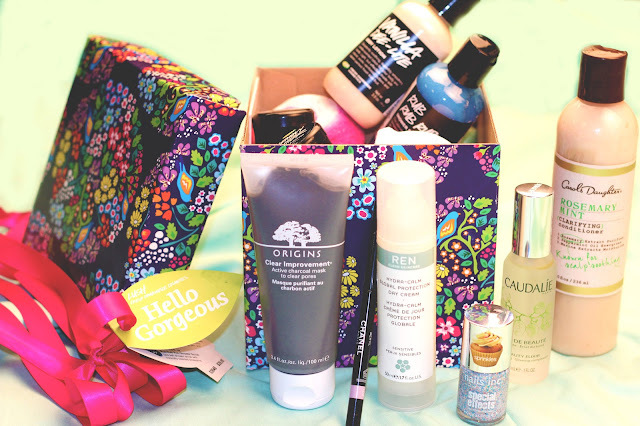 Talk about a beauty bonanza! 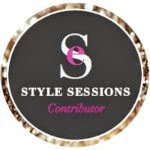 :) Glad to have found your lovely blog! Thank you :) the conditioner is great! My hair feels ridiculously smooth! Ahhh I LOVE Lush it is one of my favourite bath stores for sure. 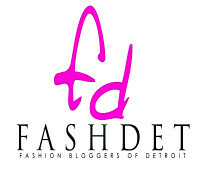 I love your blog thanks for following I followed back. PS your about me is hilarious I know I'm going to be looking forward to future posts by you. I love Lush ! look at all those goodies! Thanks for following! I don't think I have ever seen a bad review for this mask! awesome collection of items. i have quite a routine too! i don't like to break out but this is pretty inspring! thanks for stopping by the ladies in navy! I feel the same about LUSH but this set looks lovely! Awesome post! I love LUSH! you should totally take a buble bath and use that bomb! Those Lush products look amazing! I'm glad I found another beauty addict like me! I'm your new follower! I hear nothing but good things about Caroline's Daughter and with your curl, DevaCurl is supposed to be great for crunch-less curls! As for the skin, it depends what you're looking for. I have sensitive skin and I love Philosophy's Purity Made Simple to wash my face and Dermalogica's Microfoliant for a good, gentle exfoliation that makes my face look nice and fresh. I have that Nails Inc. polish too, it remind me of cupcakes :) You are so cute, I love your hair! Oh my! There are WAY too many goodies in this post!! I've been wanting to try Nails Inc for a while but just haven't. I do like how their special effects polishes look. 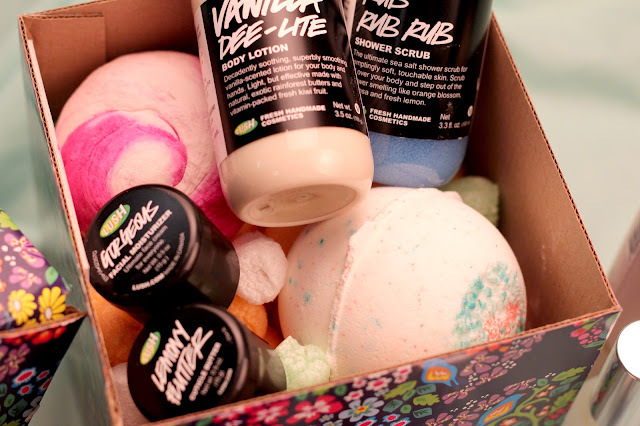 Your Lush goodies look like fun too! Bubble baths are the best way to relax after a stressful day. I want the nail polish! Absolutely love Lush, well done! You're in danger of becoming an addict like me, though. 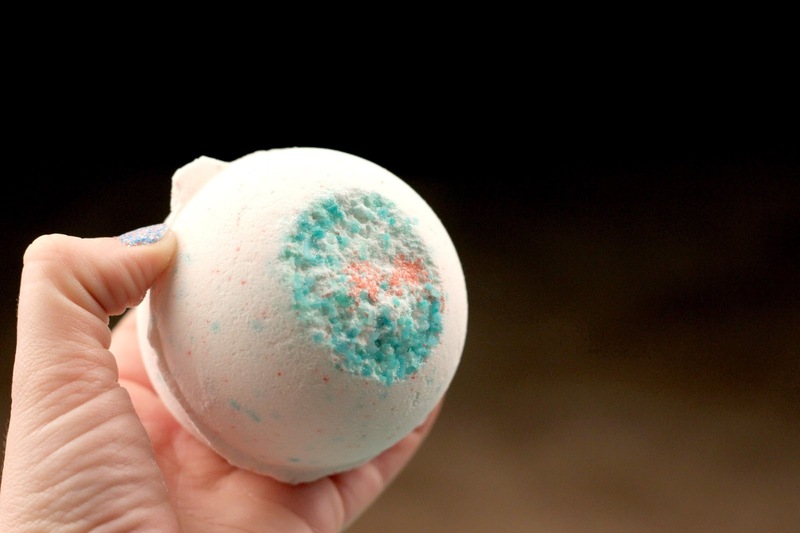 Trust me, you'll love the bath bombs. I use them even for foot baths.